Hi my name is Owen Pink and I run a clearance company based in Lordshill, Southampton. 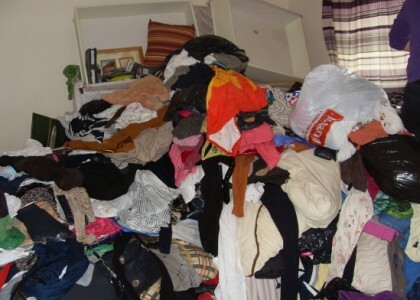 We offer house clearance, garden clearance, scrap metal, commercial waste disposal, rubbish clearance, recycling removal, building waste disposal and any other clearance you can think of! Why are we different? We’re fast, reliable and polite. All our waste is disposed of according to the proper guidelines (we are a licensed carrier) and we are usually significantly cheaper than the council. Free quotes available on request and with no obligation. I’m usually out and about during the day so it’s best to reach me on my mobile. Thanks for visiting, Owen. 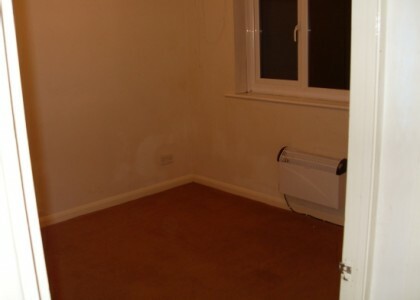 I’m an experienced clearance specialist, having originally trained as a heating engineer. I got injured so began to offer clearance services, and the business took off! 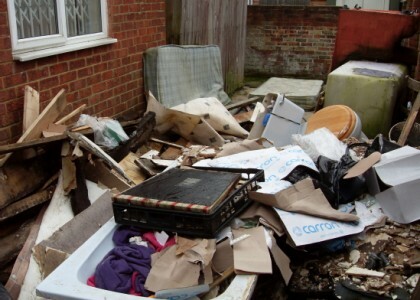 If you’re looking for house clearance, garden waste clearance, rubbish removal or scrap metal removal in Southampton, I would be happy to give you a quote for the work. Keeping my business incredibly lean means I’m able to beat the prices of most large firms and the council, and I’ve built up a great reputation around Southampton for my same-day clearance service. If you’re looking for clearance service in Southampton, I would be happy to give you a completely free no-obligation quote for the work. You’ll find my prices to be the most competitive, and I’m a licensed waste carrier so you have the peace of mind knowing that the waste will be disposed of in the proper way. Why use a licensed carrier? The law states that if your rubbish is removed and ends up fly tipped, you yourself are responsible and liable for the incident and could face a fine of up to £2000. I offer a free scrap metal collection service for domestic, trade and demolitions in and around Southampton. For more information please visit my scrap metal collection page. Owen provided a fantastic all round service, he was able to provide an in person quote the following day to phoning him. 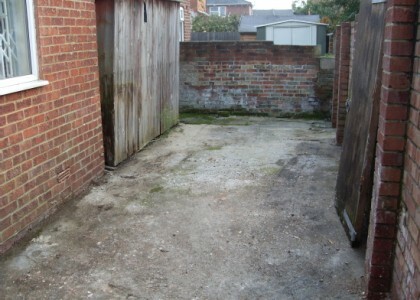 We were looking to remove an old shed and associated clutter, he was able to remove it speedily and promptly for an excellent price. So much better than hiring a skip, we will use him again should the need arise. Thank you for a great job. In our world of services Owen may be in the rubbish business but he is reliable, courteous and does a good job. Spot On! hi, i have a 6' x 4' shed that is falling apart and i would like it taken down and all its contents removed and cleared away. Is this something you do and if so how much? Having contacted a prominent waste disposal company on the website, i felt disappointed with their response. I contacted Owen instead to clear a flat in Portsmouth. He did a professional job, wont hesitate to use his services in the future. I had a large workshop at the bottom of a property I had brought. It would have taken me many weekends to take it down and dispose of it (especially with limited access). Owen quoted one day and started the next and within a few days the problem was gone. Great service. I used Owen after looking at several options for a garden clearance. I couldn't use a skip cos of where our house is but I was glad I couldn't. Owen was very helpful and polite and the job was never a problem for him. The cost was about half that of a skip! Use him, he's worth his weight in gold! Owen came round at 10am gave a competitive price and the house was cleared by 5pm including the disconnection of fixed appliances - highly recommended. Quote one day - Empty garage the next! Contacted Owen who came round promptly to give me a quote to clear a garage full of building waste. Price was competitive so agreed to proceed. Owen cleared the garage and swept it clear - zero hassle for me and peace of mind that its been done properly/responsibly. No hesitation to recommend Owen. We were both very happy with Owens quality of work,he takes the time to sort through recycling and rubbish,and we found his price very fair,highly recommended. I called Owen because I needed help removing some appliances. He came around the same day he was very professtonal, prompt, polite. I recommend him to anyone who wants a good job done. 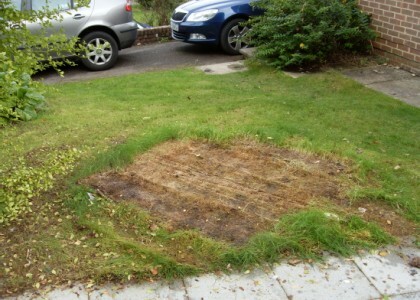 We had a large collection of garden waste to be removed - approximately the full size of a single driveway to waist height. Owen came and gave a quote and was able to do the work promptly, leaving our property neat and tidy. Thanks for doing a nice job! Excellent service from Owen today , phoned up and he was round within a couple of hours!He has now done several jobs for me and has always been polite, tidy and reliable. I will be recommending him to friends and family. 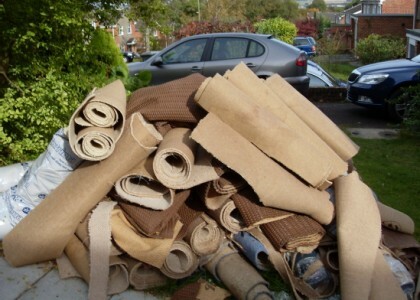 I had a lot of carpet and general junk sat in the garden following renovation of my house and looked at the various options (skip, council etc) before deciding to give Owen a call. Glad I did, he was absolutely no hassle and just came and took everything away and disposed of it in the proper manner. The biggest concern for us when we were looking to get rid of our large sofas was that they were disposed of in the right way, as we didn't want to end up with a fly tipping fine! Owen gave us this reassurance and peace of mind and was a pleasure to deal with. 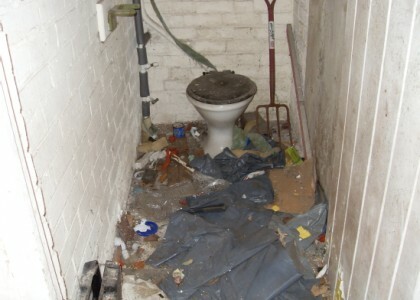 We've worked with Owen a number of times over the years when a property needs clearing. He can be relied on to get the job done on time and for much less than the council. Even appliances are no trouble for him, he comes round in his van and sorts it all out.